We've recently carried out improvements to Hove Library, which herald a new bright start to help us make the most of the historic building. The library service is working with new partners to make the most of the educational and cultural facilities of Hove Library to reach new audiences and attract new users. These partnerships also bring in much needed income to help support library services and to ensure the long term sustainability of running library services in the current building. A public meeting was held on 31 May 2018 where some people voiced concerns about the potential for noise from these new arrangements. For those who prefer a quieter space, the upper floor of the library will remain a quiet area for study and reading after these changes. Hove Village already operates an Ofsted ‘Outstanding’ rated nursery in Hove and is experienced in providing well-structured childcare and education, where children are fully engaged. The outside space is now used as a Learning Garden, where small groups of children can engage in focussed activities. These activities encourage a calm and reflective environment, where children will be able to learn and develop with a range of stimulating and educational sensory activities and resources. Given the compact size of the outdoor space, there will only be small groups of around four to eight children outside at any one time. The Learning Garden is unlikely to be used before 9.30am or after 5pm. Children will always be fully supervised at all times by an appropriate number of qualified staff members, as required by law. The café run by Café Domenica is on the ground floor and customers can take drinks away to other areas of the library where they may be reading or studying. However, drinks will not be permitted in the Wolseley Room on the upper floor due to the sensitive archival materials handled in that room. Team Domenica is a charity whose main focus is working with young adults with learning disabilities, to help them lead fulfilled and purposeful lives. The operation has its focus across three main sectors, training centres, cafés and employment centres. The charity’s cafés not only provide refreshments to visitors but, most importantly, help young adults develop skills and build confidence and bring people in the community together, showing the real value gained by interacting with people with learning disabilities. As a social enterprise charity and not a commercial operation, the focus is entirely different to all other local cafés in the immediate vicinity and all earned income goes directly back into the charity’s mission. The library service needs to introduce these new income streams to meet the challenges of delivering a comprehensive service with decreasing budgets. In the past two years, the library service has made savings of £451,000 and needs to find further savings in the future. This is the equivalent to the cost of running approximately six community libraries seven days a week, including access on unstaffed days using our Libraries Extra scheme. Last year, we received only £46,392 income through Hove Library, excluding BIMM. By working with BIMM, Café Domenica and Hove Village Day Nursery, we can attract a further £40,000 income and nearly double the income. 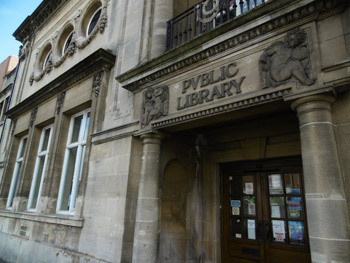 Hove library, along with all the libraries across the city, benefit from the Jubilee Library Private Finance Initiative (PFI) contract as the stock and bibliographic services for all libraries are provided through this contract. Without this arrangement, the library service would have had to have cut vastly more from the stock budget over recent years than has been the case, and this would have negatively impacted Hove Library. The Jubilee Library PFI attracts a government grant of £1.505 million which off-sets the costs. Therefore, in the last financial year the net cost to the council after taking the grant into consideration was £930,333. We also paid off another £786,000 towards owning the building at the end of the contract in 2030. We have already made £245,000 savings from the Jubilee Library PFI and we are currently doing a review with CIPFA to see if further savings can be identified. The costs of running Jubilee Library are further off-set by Jubilee Library’s income of £357,000 in the last financial year. The main building work in Hove Library will take place through the summer of 2018 and both the nursery and the café are planning to open in September 2018. For more details of the plans, please visit our ‘Planning for the future Hove Library’ webpage or download the Hove Library development information posters (PDF 1.51MB). Mile Oak library is closed due to a power cut in the area, apologies for any inconvenience.